Mother's Day is just around the corner. 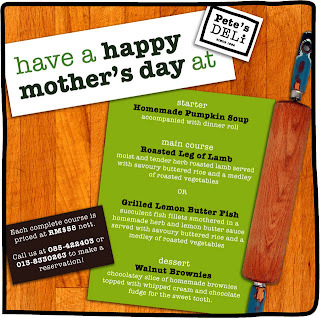 Need a place to celebrate with your mum? Pete's Deli has the answer for you.